At long last we have had dry weather and the Greens staff have been able to top dress all the greens, the benefits will be seen when the dressing is fully within the soil. Work has continued on the greens where major repairs were made in the winter, 1st, 2nd, 15th and 16th, and member volunteers are tidying up the significant gorse cutting which was done in winter time. The awful weather has caused the Bayonet Scratch competition to be cancelled for 2015-16, and the clubs are considering how best to change the competition perhaps by starting earlier and finishing later in the winter, or by moving it to the summer. The Denzil Jones knock out competition was also cancelled for the same reason. The Norman Brookes competition was completed and our team, led by Glyn Hughes, was successful for the 6th year running winning 6 and losing 2 of our 8 matches. Entries are now open for the summer knock-out competitions, these have been delayed to allow the weather and the course to improve. The AGM on Friday 25th March produced a number of changes to the Executive. W Glyn Hughes became Club Captain, Ifan Jones Club Vice Captain, Nick Murray Williams Club Chairman, Derfel Roberts Chairman greens (since the AGM Derfel has retired from this post), Alun Davies Chairman House and Sue Hughes Match Secretary. The long running claim by the club and many other golf clubs against HMRC does now look as though it is in the last throes. The club is claiming VAT applied on green fees over many years, and HMRC now accept they cannot make any further appeals against rulings in favour of golf clubs. Colin Hughes our Treasurer does not yet know details of the amount or timing of any payment but advice from accountants KPMG is that it should be the summer this year. Led by our President Jan Davies we will again be looking to attract new members, and on Sunday 24th April we are holding a Fun Day at the club to help attract new members, especially Ladies and Juniors. There will be a Carvery on Sunday 1st May between 12 noon and 3 pm. these carveries have been very popular in the winter and the club will continue them during the summer. The heavy rain in recent weeks has limited the work that could be done on the course. The greens have been aerated to promote drainage and the fairways have recovered well from the record levels of rainfall, which has allowed the course to remain open almost every day when neighbouring clubs have been closed. In August 2016 two weeks after the Club Championship are being reserved for essential maintenance on the course, and especially on the greens. Tomos Roberts achieved an excellent 3rd place in the Golf Union of Wales Mini Masters at Celtic Manor in october 2015. He will be playing in the new Junior Tour being launched this year by GUW. The Bayonet Scratch team have played just 2 of 6 scheduled matches this winter, having been especially unlucky with the weather. We lost 1.5-3.5 at North Wales GC and achieved a really creditable 2.5-2.5 draw at a strong Nefyn GC. Our Norman Brookes team have won 4, drawn 1 and lost 1 of their matches and stand joint top of the league. The Council Of National Golf Union have published their changes to the handicapping system for implementation in 2016. Three club members will attend a GUW seminar which will explain these changes, the most significant of which is that in 4 Ball Better Ball competitions the handicap allowance will be 90% not 75% as before. The Caernarfonshire and District AGM on 16th December 2015 agreed that Affiliation Cards will be offered in 2016 on the basis of (1) clubs can charge between a minimum of £10 and a maximum of 50% of their normal green fee for use of the card (2) golfers can use the Card 3 times a year at each club and (3) Conwy/Royal St Davids/Nefyn and Aberdovey will return to the Card in 2016. The Sunday Carvery on 24th January was again a sell out, further Carveries will be held on 14th February and 6th March so club members who wish to enjoy an excellent lunch at a competitive price are advised to book early. Our Annual General Meeting will be on Friday 25th March (Good Friday). Please make every effort to attend as this is your opportunity to make your views on the club known. An Air2G2 machine was used on all greens in early September, which will aerate the soil and improve drainage. No more work will be done on the greens until mid October, to give the aeration time to take effect. seed will then be applied to the bare patches on our greens, to start the process of grass growth. The height of the cut on both greens and fairways will be increased as winter and the threat of frost approaches. The club will investigate the use of cloches, to be used on the bare patches to help seed germination during the reseeding. Mr John McCann retired on 25th September after almost 40 years service to the club. Jamie Williams has been working with the club Greens team, having left school this summer. Mr Glyn W Hughes, Vice Captain in 2014 and 2015, has written to confirm that he will not be taking up the position of Club Captain next year. We have approached Mr W Glyn Hughes, and are delighted that he has agreed to become our Club Captain in 2016, subject to this being agreed by Past Captains early in 2016 and the Annual General Meeting in March 2016. Glyn becomes our Vice Captain with immediate effect, and will be joint Captain of our Norman Brookes team this winter together with Medwyn Roberts, Club Captain. Mr Drew Walls has resigned from his position as Match Secretary on 25th September, with immediate effect. The club would like to thank Drew sincerely for his active role in the last 2 years, and the many beneficial changes he has helped introduce. We are extremely pleased that Mr Eilir Angel has agreed to become Handicap Secretary with effect from mid-October. Four of our members, Eilir Angel, Paul M Roberts, Hywyh Griffiths and Adam Jones have represented Caernarfonshire this year whilst the county have retained the Championship for the 4 northern counties once again. Our team in the Caernarfonshire & District 7-a-side competition were very narrowly beaten 4-3 by Bull Bay GC, the deciding match going to the 20th hole. The Ladies team won 5 of their 8 matches this summer in Division 4 of the North Wales Shield, finishing a very creditable 2nd. Tomos Roberts, aged 9 and our youngest Junior Member, won an under 15 competition at St Melyd GC and has qualified for the National Final of the Golf Union of Wales Mini Masters at Celtic Manor in October. Under the management of Wyn Williams, the website continues to flourish and provide both green fee visitors from afar but also welcome publicity for the club. There were more than 100k hits on the website in August, 38% higher than the same month in 2014. 17th and 18th October. Revised days for the final Summer Eclectic competitions. Dates have been changed to try to ensure as many as possible are able to compete, and this also facilitates the conclusion of the summer knock-out competitions and the start of the Norman Brookes competition. November date to be announced. Presentation Night to be preceded by Final of Captains versus Vice Captains competition. 19th December. Captains Christmas Dinner. This year 4 clubs, Conwy, Royals St Davids, Nefyn and Aberdovey withdrew from the Mens Affiliation Card, leading to reduced sales of the Card. Each of the clubs in Caernarfonshire and Anglesey is working to reach a resolution acceptable to all clubs which will lead to these clubs returning to the Card in 2016. There has been a significant improvement in the general condition of the course recently but the first 3 greens are still in need of further improvement. Recent cold/wet weather has not helped, but the treatment/feeds given to the greens will help greatly in coming weeks. On 29th May John McCann retired from his position as Greenkeeper after 38 years of loyal hard-working service. John will continue to assist the club for the remainder of the summer on a 2 day a week basis, and we all wish him well for an enjoyable retirement. Tecs Davies has begun discussions with Ricky Roberts regarding Ricky taking on a full-time Greenkeeper position at the club. A Ladies Loo is to be constructed probably near the 10th tee or alternatively near the 7th tee. The AGM on 27th March elected Medwyn Roberts to be our Club Captain for 2015, with Glyn W Hughes having a second term as Club Vice Captain. Glyn hopes to have operations on both his knees this year, which will enable him to become Club Captain in 2016. Janet Davies was elected to the position of Club President for both 2015 and 2016. This is the first time the club has elected a Lady to an Officer position, and we are only the third club in Wales to have a Lady as Club President. The club and Jan have received considerable publicity for this development in the Liverpool Daily Post, Golfers Local, The Fairway Golfing News, Bangor and Anglesey Chronicle, Bangor and Anglesey Mail, Golf Development Wales website www., and Jan has been interviewed on BBC Radio. Jan's first activities have centred on attempting to gain new Lady and Junior members, and we are actively using both the New2Golf facility from Golf Development Wales and the services of Matthew Wharton, PGA professional. This follows a very successful Family Fun Day on Sunday 19th April which attracted around 50 visitors. The Sportsman's Evening on 11th April was hugely successful. We had around 90 attendees who enjoyed both an excellent carvery and a lively Question and Answer session with Tommy Smith, a genuine Liverpool FC legend who played more than 500 games for the club and scored during one of the European Cup Finals. Father and son Frankie and Vinny Allen provided terrific adult entertainment, and the club made a healthy profit on the evening as well as having very good bar receipts. Wyn Williams is to be congratulated and thanked for putting on a marvellous evening. In the Bayonet Scratch League we finished 4th in Division 1 and have retained our place in Division 1 for next winter. Our Norman Brookes team were successful for the fifth year running, so no pressure for next winter! Huw Hardy and Paul S Roberts won the Denzil Jones competition beating Hywyn Griffiths and Gron Roberts in the final. Adam Jones made his debut for the Caernarfonshire Mens team and won both his matches in an emphatic 8..5-3.5 win over Denbighshire at Rhos-on-Sea GC. We now have five club members who have represented Caernarfonshire in recent years. Our Ladies have played their first two Shield matches narrowly losing 2-3 at Porthmadog GC but gaining revenge 4.5-0.5 at home. 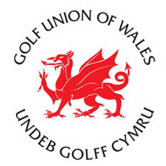 We have yet to play our first matches in the Golf Union of Wales Team Championship or the Caernarfonshire and District 7-a-side. Website hits have increased considerably in recent months, with 91,800 in April and circa 100,000 in May. We have our first company taking advertising on the website for an annual fee, and are in negotiations with a second company. 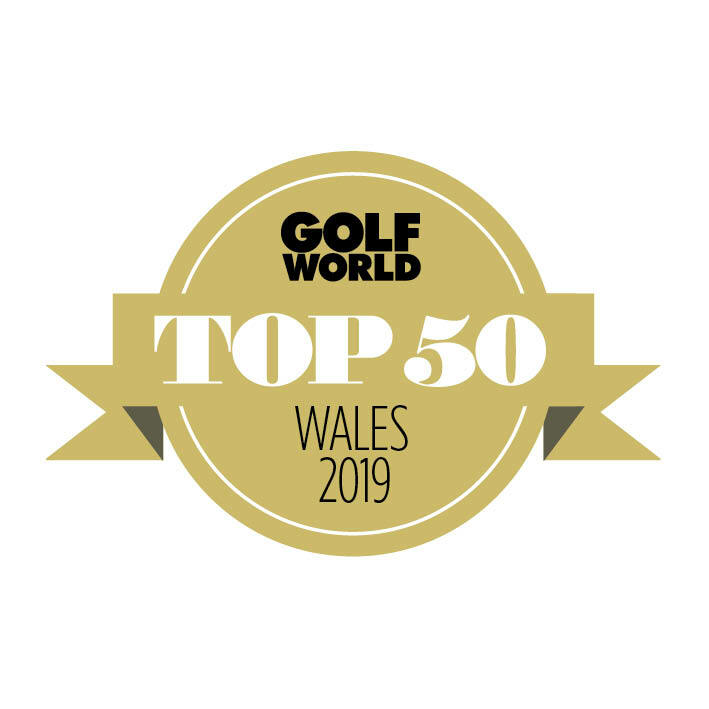 The drone which shows aerial views of our spectacular course is particularly popular, and Wyn Williams believes that the reason for the increased interest is the number of fresh articles we have featured recently, so please send Wyn articles you think may be of interest. Sunday 21st June. Father's Day Carvery Lunch. Saturday 4th July. Captain's Charity Day, in favour of the club. Goodbye Mr Captain / Hello Mr Captain Social Evening. Saturday 19th September. Club Open Day. The new bunkers at the back of the 18th green have been constructed, together with banks which are together intended to stop golf balls running over the 18th green and out-of-bounds. We are grateful to North Wales GC for their loan of a turf cutting machine.The 2 bunkers to the right of the 4th green have been in play for some time and again are helping prevent golf balls going into gorse. The club is applying for a Licence to fell trees; in recent weeks trees at the back of the 2nd green and to the right of the 1st tee have been pruned in order to allow proper light to help promote grass growth. Gorse cutting is in full swing, with volunteer support helping the club make headway to prevent gorse from intruding where it was not meant to be. Hollow tining and verti-draining of our greens has started and is a necessary part of keeping our greens in excellent condition. The club is grateful to Bangor City FC for their loan of machinery. Responding to members requests Martin Pritchard has arranged with North Wales GC to acquire a pool table free of charge. Games Committee is providing very informal competitions midweek, which can be played on any day from Monday to Friday. Visitors are very welcome to take part provided they have a handicap. Please see the notice board for details. The Denzil Jones knock-out competition is proceeding on time, and is due to finish in April. We had a tough draw in the Mail on Sunday competition, away at Henllys, and lost 4-1. Our Bayonet Scratch team have 22.5 points from 9 matches, following an excellent win 4-1 over league leaders Henllys GC and have succeeded in remaining in Division 1 for a fifth consecutive year. The Norman Brookes team have 12 points after 9 matches, following two important wins by 7-1 over North Wales GC and Old Colwyn GC and have every chance to retain our title. The Executive Committee is very grateful to Denzil Jones who has been a most effective President for the last 2 years but will stand down at the AGM on 27th March. The Executive Committee will be proposing Janet Davies to be our next President. If this is agreed at the AGM it is believed this will be the first occasion when a lady member has taken on a Club Officer role. Wyn Williams has organised a Sportsman's Evening for Saturday 11th April, which is also the day our new Club Captain will drive in. The guest speaker is David Fairclough, a striker with Liverpool FC in the late 70's/early 80's. The main comedian is to be Frankie Allen, returning after he entertained the club in October 2013 at the previous evening. together with Vinny Allen. Tickets are priced at £25 each, which includes an excellent 2 course carvery meal, and despite the name of the evening ladies are as welcome as gentlemen. Please do your best to support this evening, which has been difficult for Wyn to put on. 7. Goodbye Mr Captain/President Hello Mr Captain/Madam President. It is intended to hold a social evening on either Saturday 18th or 25th April to say goodbye and thank you to our retiring Captain/President and to welcome their successors. Please watch the notice boards for details. The very wet weather in November has caused us to use temporary greens on holes 1-3. Each of the greens has been hollow tined, and in late November we used an "earthquake" machine which cuts to a depth of 10 inches and also shakes or rotavates the soil which will help with future drainage. Paul M Roberts is keeping in touch with developments at local clubs for many clubs using the same equipment. Our Bayonet Scratch team have had 4 very tight matches, and have accumulated 9.5 points so far. In a recent match with Conwy A we had the current Welsh Amateur Champion Evan Griffith playing for the opposition. Our Norman Brookes team are also in a very tight competition, and we are one of 5 clubs with a realistic chance of winning. Our current Vice Captain Glyn W Hughes will not become our Club Captain in 2015. He is scheduled to have both knees replaced next year and because of this has requested that his year, subject to AGM approval, is deferred to 2016. We have asked Medwyn O Roberts to take on the Club Captain role next year, subject to approval at the March 2015 AGM, and we are delighted that Medwyn has agreed. We are likely to be approximately break-even financially in 2015. Subscriptions have been increased by just £10 pa the lowest in years. Green fees for this winter are £15 midweek and £20 weekend. The bar, buggies and the new coffee machine are all going well. This totals over £5,200 to date, and all the funds raised, except for the regular prizes, go to the betterment of the club. Funds are "ring-fenced" ie they are in a separate bank account and cannot be used for general club purposes. If you would like to contribute to this worthy fund raising Draw please contact either Tecs Davies, Wyn Williams, Glyn Hughes (shop) or Martin Pritchard. There will be a Social evening on New Years Eve with the highlight a singer called DFonna Brown. Tickets cost £5 per person which includes one drink and a buffet. In January it is planned to hold a delayed Captain's Christmas Dinner, details to follow. Members and visitors have been praising the course condition this summer, particularly the greens which are both true and quicker than before. In late August our fairway mower blew up and was assessed as beyond repair, given the cost involved. The Greens Committee met on 27th August and agreed that the best way forward was a second hand greens mower. One was identified which had previously been used to cut the Chelsea FC training pitches, and it arrived at the club on 28th August. The Greens team have used the mower and are enthusiastic that it is a significant improvement on the old mower. The Executive Committee in July approved two changes to competitions. Firstly the count backs in Mens competitions will be on the back 9 (not the front 9 as now) and this will start in October or November. Secondly a group is looking at possibly increasing competition entry fees, and also that a portion of prizes won in competitions to be available to offset the Member's following years annual subscription. The intention is to discuss and agree this in the September Executive Committee. Our Ladies have enjoyed another successful season winning 5 out of 8 matches and finishing 2nd in Division 4 of the North Wales Counties competition. Both our teams were successful in qualifying for the National Final of the Wales Handicap Team Championship at Celtic Manor. One of the teams finished 3rd out of 16 teams, made even more meritworthy as the 1st and 2nd teams are based close to Celtic Manor. In the Australian Spoons competition Martina Lahmann and Sue Jones won the North qualifier at Caernarfon GC and will play in the National Final at Borth and Ynyslas GC on 20th September. Both Paul Roberts and Hywyn Griffiths have represented Caernarfonshire in the Four Counties competition . the Four Counties Youth Final on 7 September featuring the best players in Anglesey, Caernarfonshire, Denbighshire and Flintshire. A few months ago Mr Errie Ball, a former member of the club, died at the age of 103. he was the last survivor who had played in the inaugural US Masters in 1934 and played in several Majors. In conjunction with the contractors Vinci and with a favourable response from the Environment Agency granting an exemption request to move soil onto the course work has begun on a new tee on the 11th. It involves the contractors moving large amounts of soil behind the current yellow tee on the 11th. This is visible to all to see when playing the course and it is hoped to have a new path from the 10th hole to the back of the new 11th tee. Tecs has had discussions with Matthew Wharton, Golf Professional formerly at Treborth, regarding using the old Junior Room as a "Video Swing Analysis Room". This would bring benefits to both members and visitors to the club. Tecs has also concluded negotiations with Bangor University which will see the University pay a lump sum to have up to 20 Club Members, and also for the University to play their home matches at our club as happened a few years ago. This is a very welcome strengthening of the ties between the University and the Club. The last 3 months have been dominated by our new Head Green-keeper beginning work and he, John McCann and Ricky Roberts have already made many significant improvements on the course. The greens have been rolled and are smoother, more true and faster than in the past with a stimpmeter reading which has reached 9.4 feet. Even the greens which suffered in 2013 (1st/2nd/3rd and 5th) are looking and playing well and this is a tribute to the green-keeping staff. Everywhere the course is better presented, and more enjoyable than before. In the lower car park the SLICS (Society for Lame, Indolent and Crippled) have made a great job of creating a robust wooden railing for use in safely coming up towards the clubhouse. This makes the walk safer than before. We have been advised that first time visitors sometimes are uncertain about where the next tee is to be found. The Seniors are putting up a number of marker posts to give guidance to our visitors. Work is now complete on the Ladies changing facilities and toilet/shower area. These facilities are now much improved thanks to hard voluntary work by many members. Attention is now turning to the Gents showers to bring them up to the desired standards. We are limited by finance but are determined to improve these facilities and increase usage. Following his election at the Annual General Meeting in late March Drew Walls has settled into his new role really well, and is building on the excellent foundations left by his predecessor Peter Aitken. Drew is already giving strong consideration to the diary of events for 2015, and is hoping to propose improvements to the Games Committee this autumn. As usual this has been a very busy time of year and our results have been most encouraging. In the GUW Team Championship we beat Mold GC 4-1 in the first round and face Rhos-on-Sea GC in round 2. If we are successful we will reach the National Finals. We lost 2-5 to Betws y Coed GC away in the first round of the Caernarfonshire and District 7-A-Side knock-out. The match was played under very difficult conditiond including flooded greens, but Betws made home advantage count. We had 2 teams of 4 in the GUW Handicap Team Championship Area Qualifier at Caernarfon GC. 11 teams were entered with 2 to proceed to the National Finals in Celtic Manor, and our teams were first and second and both qualified, which is a superb achievement. Drew Walls won the Individual prize. Our Ladies have made a very successful start in Division 4 in North Wales. A slightly disappointing defeat at Maesdu GC by 1-4 has been sandwiched between an excellent win 3-2 at Wrexham GC and a thumping 5-0 win at home to Porthmadog GC. Individuals heave also continued to excel. Hywyn Griffiths was selected to make his debut for Caernarfonshire at Bull Bay GC against Anglesey. He partnered Paul Roberts to a half in the foursomes and both then won their singles to help Caernarfonshire to an convincing 8.5-3.5 away win. Paul Roberts then played in the Caernarfonshire and Anglesey Scratch Championship at Anglesey GC and lost only in a play-off against James Tottey of Conwy GC. On 4th June the Seniors met to celebrate the 90th birthday of Joe Owen and the 80th birthday of Iolo Wyn Williams, and it was good to see both of them in robust health. In April in one of the internal competitions one of the four-balls had a combined age of 321 years. John Harries, Dai Roberts, Elo Parry and the youngster Dave Jones proved that age is not a barrier to enjoying golf at St Deiniol. Members will notice that Braid's Gem plaques have been installed on tree trunks on the approach to the 3rd tee and leaving the 6th green. In the clubhouse are notices about a JB Trail competition. Entrants are invited to calculate the total length of the 10 JB Trail courses in N Wales, using a Website which promotes the Trail, and the successful entrant will win a passport entitling the winner to a 2 ball at each of the 10 courses. This competition is being marketed by Visit Wales in their monthly email in June. 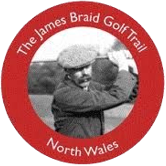 The winner of the previous JB Trail competition was a St Deiniol member Dylan Hughes who won a 4 ball at Aberdovey GC, so do enter this competition. On Saturday 24th May our Club Captain Ray Williams had his Captain's Charity Day, and 124 golfers supported the Pendalar school in Caernarfon. Sunday 1st June saw the club host the Caernarfonshire and Anglesey County Girls Championship, which was won by Olivia Reynolds of Conwy GC. Saturday 21st June. Paul Roberts is preparing a Charity Day to support the Autism Society. This is a most worthy Charity, please support the day. Sunday 13th July. Invitation Day is a great opportunity to invite a friend to Bangor and showcase our course. Saturday 19th July. President and Vice-Presidents Day. Always an enjoyable day. Saturday 2nd and 9th August. Club Championship Qualifier and Final. Tuesday 19th August. Caernarfonshire Boys County match. Saturday 6th September. Captain's Day. Support our Club Captain Ray Williams on his day. Sunday 7th September. Four Counties Youth league Final. Wednesday 10th September. North Wales Alliance meeting. I am delighted that our new head Greenkeeper is to be our +1 handicap member Paul M Roberts, currently Green-keeper at Baron Hill GC. The club placed an advertisement in the Chronicle, on our website and with an employment agency. There were around 30 applications some from as far afield as Lancashire, Yorkshire, Essex and Perth in Scotland. Denzil Jones, Nick Williams, Tecs Davies and I met a short list of 4 at interview and it was a unanimous decision that Paul was the preferred candidate. Paul is now preparing to join us and we expect this to be on or before Thursday 3rd April. In the meantime John McCann and Ricky Roberts continue to work on the course. I hope club members will welcome Paul, personally I feel it is great that we have a serious golfer leading the green-keeping team. Mr Huw Prys Jones of Williams Denton attended the Executive Committee meeting on 3rd March to advise us that last year the club made a small profit of £181, which is calculated after deducting all charges such as finance fees and depreciation of machinery and other assets. The comparative figure for 2012 was a loss of almost £15,000, so there has been an encouraging turnaround partly because of the better weather in 2013 compared with 2012 (during the main golf season) but also huge efforts by many members including volunteers. The awful weather in the last 3 months, with record rainfall and very strong winds, has limited work on the course. Work has begun to treat the greens with chemicals to remove the "black layer" and will be finished in Springtime. In late February volunteers led by Bob Thomas made major inroads into the gorse lining the fairways on the far end of the course, and it is planned to repeat this work on a regular basis. The weather has caused havoc with team matches throughout the county. The Bayonet Scratch team have played three times this year, earning a very good 3-2 win at Porthmadog GC, a creditable 2-3 defeat against Conwy "A", who fielded an all county team and an ecellent 3-2 win at Conwy "B". Our Norman Brookes team have played just two matches losing 2-6 at North Wales GC and 3-5 at Conwy. Between them the teams have a backlog of 5 matches. We won our first round Mail on Sunday match when Penmaenmawr GC conceded the match, and lost to Henllys GC away in the second round. In the GUW Wales Team Championship we are drawn against Mold GC at a neutral course North Wales. Our 99th Annual General Meeting will be held in the clubhouse on Friday 28th March beginning at 8.00 pm. This is your opportunity to have a say in the running of your club and I would urge members to attend if they possibly can, especially given the changes in the last 12 months. Peter has indicated he wishes to retire as Games Secretary after 6 years in the position and more on the Games Committee. The whole club is grateful to Peter for his very hard work regarding both competitions and handicaps, and also to Gary Black who has worked with Peter during this time. We will be seeking a replacement for Peter and interested members should indicate on the Notice of the AGM which will be on the NoticeBoard shortly. The position carries two benefits, firstly nil membership subscription and secondly a gold card permitting complimentary play on the courses within Caernarfonshire and Anglesey. On Saturday 5th April our new Club Captain, Ray Williams subject to the AGM, will drive himself in at 12 noon , to be followed by an informal competition open to all members, Gentlemen Ladies and Juniors. Our Chairman Entertainment Wyn Williams is working on a social evening "Goodbye Mr Captain, Hello Mr Captain" , please watch Notice Boards and website for details."